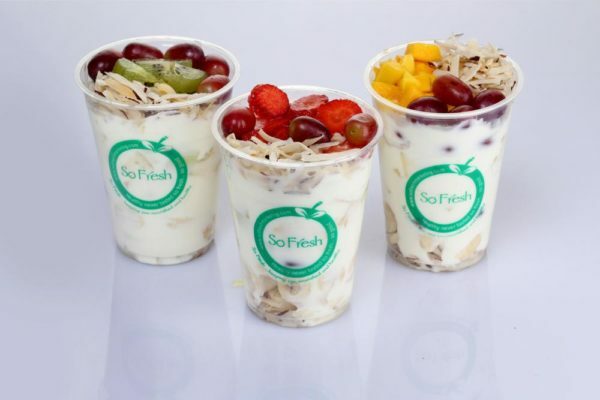 Olagoke and Abimbola Balogun are the two formidable forces at the helm of the brand called So Fresh – a premium brand in the Nigerian health food space. 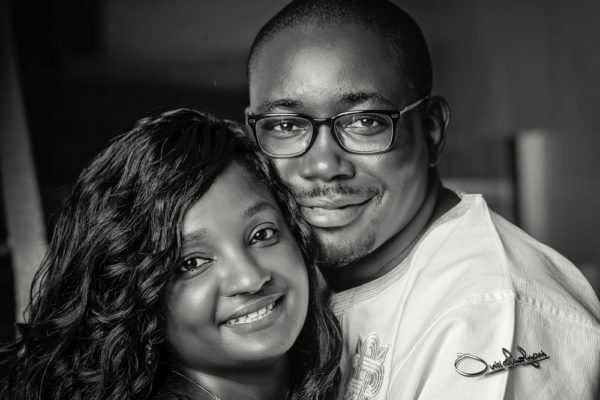 This couple graduated from the University of Ilorin; Abimbola has a degree in Law, while Goke has a BSc in Biochemistry. 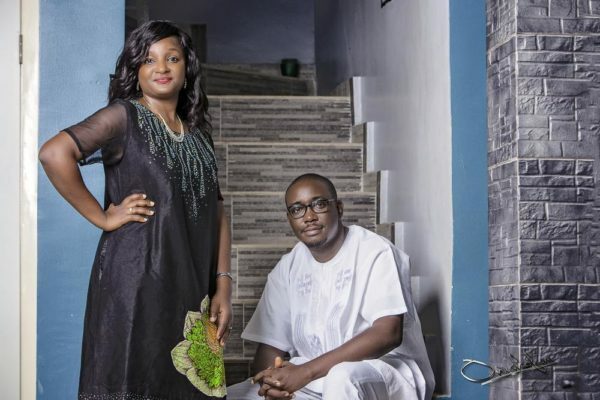 With 13 years of work experience between them, they decided to dip their feet into the waters of entrepreneurship in Nigeria. Tell us about the So Fresh vision. Why and how did you start this venture? 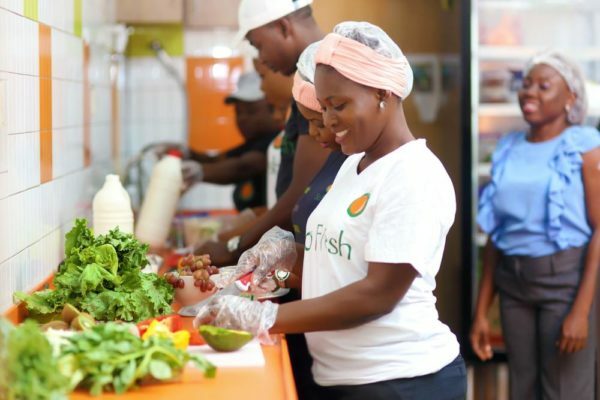 So Fresh was originally founded as Fruitivegies Limited in 2010 – a modernised Farmer’s Market. 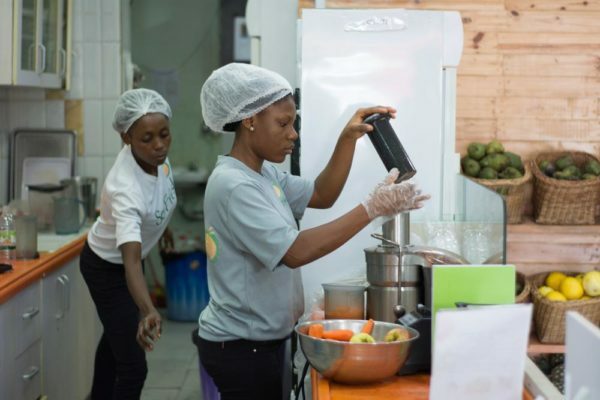 It was conceived to be a departure from our traditional way of shopping for fresh produce in Nigeria, by providing a clean serene and hygienic environment for Nigerians to buy fresh produce. Growing up, I found going with my mum to the open traditional markets, very uncomfortable. The markets were mostly dirty, noisy, unorganised, unhygienic, and generally inconvenient. Also growing up, I ate a lot of fresh fruits, vegetables harvested right from our backyard. 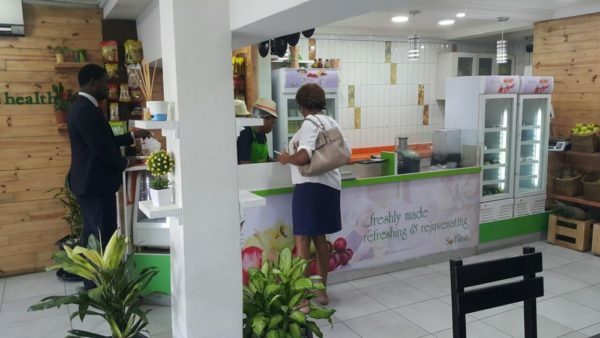 So, these experiences, coupled with my belief that convenience, ease, a serene atmosphere and excellent service, were supposed to be the hallmark of a good shopping experience, I had the light bulb moment to start a fresh produce company. I shared the business idea with my wife, who caught the vision and was on fire with it on the spot. Little did I know that she would later become the very driving force behind the business in its early days. 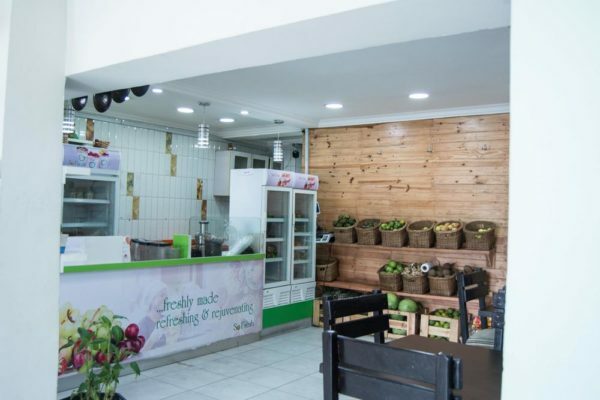 We opened our doors for business in November 2010, in a little corner shop at Ogba selling majorly local fresh fruits, vegetables and few selected healthy groceries. 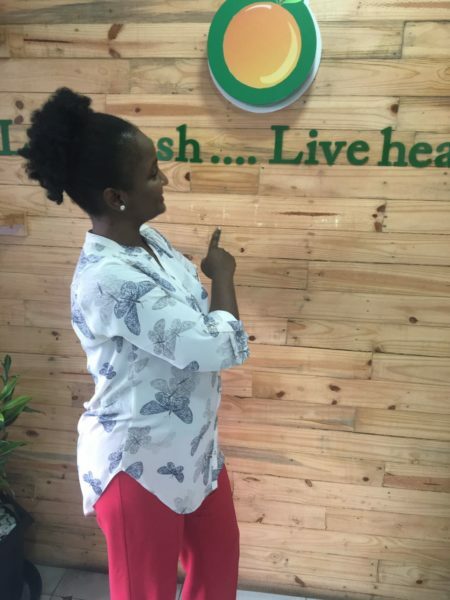 However, in just few weeks of opening the store, we discovered the market wanted something more and we started to shift focus to freshly prepared meals, in order to tap into the increasing health consciousness and culture shift in the ‘what’, ‘how’ and ‘where’ people shop for food. 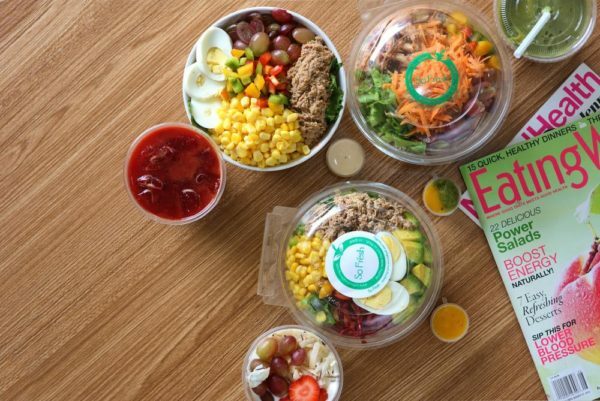 It took us about 18 months to come up with the name ‘So Fresh’, but we’re glad we chose it. It truly embodies and captures the essence of what we do and our brand promise to customers. We had just moved to Lagos about a year before we started the business. We launched the business in a 45sqm shop space with one employee, who lived with us. We had an initial capital of about N3,000,000. At this point, we probably didn’t know more than 10 people in Lagos, and these were friends we grew up with in Ilorin and a few church folks. We basically started from a pretty clean slate. We invested all our family savings at the start. We could do this because Goke had a good and stable source of income. Starting off was smooth, quite exciting and full of enthusiasm, seeing months of planning come to fruition. We were bustling with energy, doing what we loved to do and we enjoyed every moment of it. We did everything all by ourselves; went to the markets, did all the procurement and basically combed the streets of Lagos looking for the best deals. Of course we had to do all other functions; marketing, selling, book keeping, recruitment, deliveries and all other miscellaneous store operations and functions. After about 2 months, we were soon hit by reality, people weren’t just coming to the store to buy. 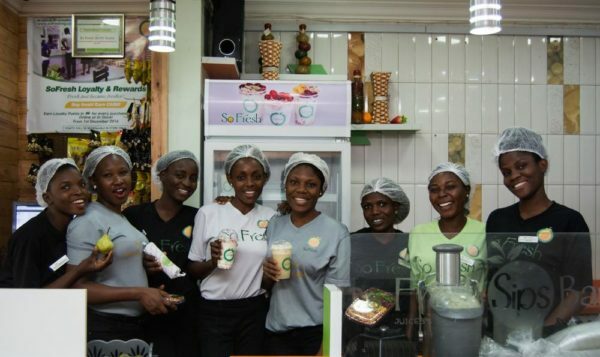 We would open for 14 hours daily and make just a sale of N3,000, sometimes less – with the outlet full of fresh produce. As the days went by, it even became increasingly difficult to get people to come into the store to buy apples or oranges. They’d rather go across to the open retail market at Ogba, just a stone throw away even though it was same price. So Goke took to the streets everyday; he did door-to-door marketing, sharing flyers, talking to people. Back then, we didn’t have Instagram and other social media channels where you could reach thousands of customers with a click. So we had to do the work in the street. People were also not generally talking about healthy eating as much, so we were loners, so to speak. Bims stayed back to work at the store, welcoming and serving the new and old customers. Sales remained low and soon the bills started pilling, local government levies (legal and illegal), State agencies dues, State & federal taxes, ‘omo-onile’ and ‘area boys’ settlement, running the generator for about 10 hours daily, rent had to be renewed, and staff had to be paid. We barely covered our cost and so we started subsidising the business from our personal incomes. But we kept records; Goke is a stickler for records. Three to four months down the line, our marketing efforts started yielding results and sales started growing; employee count rose to about five, excluding us. We were excited by the growing sales and the energies returned. We appointed our first Outlet Manager, March 2011. After 18 months, we brought in an accountant and the results wasn’t good… despite the very much increased sales. I was confused, how can you make this much sales and no profit, no cash flow, we were bleeding cash. It was a low moment. Come end of year 2012 the profit story stayed the same, to make it worse, sales had become static. Sometime around early 2013, we asked ourselves if this was worth our time, effort and most importantly hard earned cash; we were losing money. I reasoned with my wife: we should just abandon this stuff and live the average Nigerian dream, enjoy our salary in peace, travel yearly and everybody is happy. However, consumed by the desire to win, a deep soul searching and further market analysis we saw that there was a bigger market out there yet to mature and we were going to go after it. So we did the counterintuitive thing: we invested more of our savings, and even added personal cooperative loans, almost 5 times our initial investment and moved to Ikoyi. In about 3 months, boom the business took a positive turn. Sales was good and So Fresh became the hot gist in town. We were like them that dreamed. We had to close down Ogba branch to allow us focus. We still shudder to think of where and how we found the courage to make that crazy move. Yes, we took the step, but we felt favoured and blessed of God. This easily ranks as one of the best singular moves till date in our entrepreneurial journey. 2 years after that move, we opened a second outlet at Opebi in 2015, then a third at MMA2 Airport, Ikeja this year, and we are just getting started. WOW! That’s such an inspiring journey. I remember in the early days of So Fresh, you did a lot of influencer marketing. How successful was it and is it a model you would recommend for up and coming businesses in Nigeria? Influencer marketing was very successful for the So Fresh brand. It gave us brand recognition, believability and boosted sales. I will recommend it for businesses. As a small business, be creative about it. Don’t over spend on influencer marketing, be very deliberate. Find a value you can offer to the influencer even if you don’t have cash. It could be expensive, we’ve declined some because they weren’t yet right for us. However, a very easy way to get infleuncers to market your products is to consistently produce good quality products and excellent service. We’ve had big influencers market for us that we haven’t even talked to or met. When your products are good and you keep at it, people will market for you. This is true. A good product will always sell itself. So, what’s the highlight of the So Fresh journey thus far? Just watching a dream blossom into something magical and seeing the impact in people’s lives, so much so that customers proudly rep the brand and freely promote it. This gives us great delight watching what we’ve built from scratch grow into a recognisable brand. Every day we open our doors and I see people walk in, I am filled with awe and gratitude. When the business idea came to me, the first thing I did was to immerse myself into reading extensively on how to start and run a business. I read up on stories of entrepreneurs who had built empires and I was inspired to begin to write down a business plan with a clear focus to building a great sustainable African business. Bimbo had also just concluded Daystar Leadership Academy and the experience was transformational. 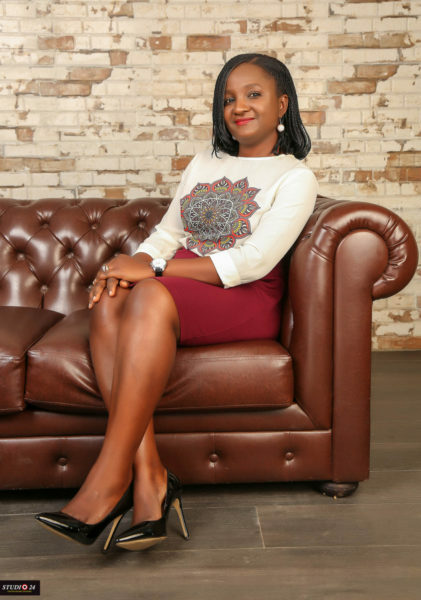 She was groomed to be an exceptional leader and together we were ready to take on Lagos and build an enduringly great company. Before then, we had not seen a similar model, so we had to again do extensive research on how to operate a fresh produce shop, all these took well over 9 months. Working in a multinational company at the time also gave me real life experiences on how to structure a company with sound policies, systems and structures. We agreed we were going to build a great company that will outlast us and create impact. Hence, early on Goke set up the business not to ever depend on either of us. When it was just us and our 1st employee, we had our organisational structure in place. In fact our first employee, my wife and I had our employment letters, job descriptions and each of us functioned in areas of our strength and responsibilities. 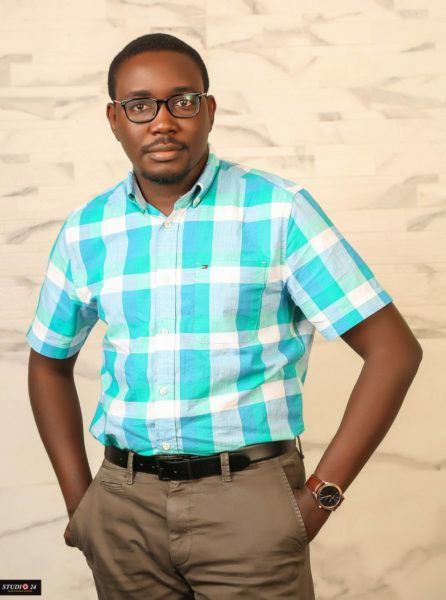 However, in the early days, our roles overlapped from time to time, especially when Goke needed to return back to work which was outside of Lagos and Bims had manage the entire operations – along with a few staff…till he returned in two weeks. It wasn’t all smooth sailing though; we made a lot of mistakes, from hiring wrongly, to selecting the wrong location, not having a clear marketing strategy, under-pricing our products to attract customers. We simply did not understand doing business enough. Oh we would have done a lot differently! First and foremost we would have acquired better business education and skills, because knowledge is very important. We would have defined our target customer, position to find and attract them. Sometimes we also think we should have started form a different location, but on the flip side, it was our training ground where we made our mistakes in terms of people management, produce sourcing, preservation, processing, preparation, storage and packaging and also to refine the business strategy and positioning. Starting small allowed us fail small, gain the experience and then go big. We keep evolving to better position ourselves in the market. It’s quite tough, but we try our best to mitigate the economic and unique challenges to us. 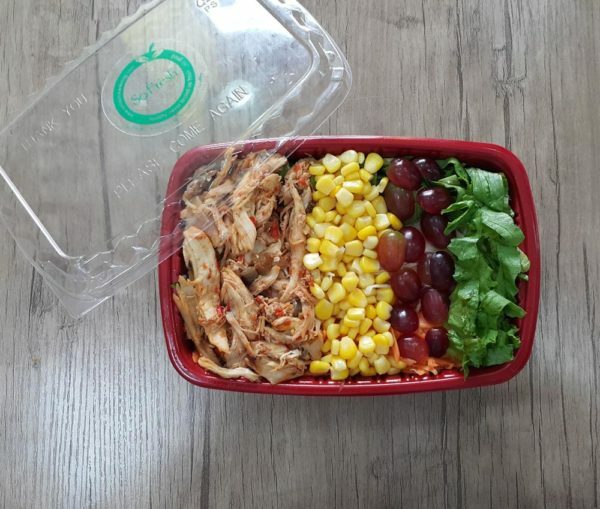 We adopt different cost management techniques, robust inventory management system, demand and supply forecast, so as not to overstock the perishable foods, proper food storage and preservation practices to control and reduce waste, marketing our products through all our social media to increase sales and consistently produce products of great quality and standards that are safe for consumption. Hence we are very particular about our sources of inputs, and frequency of sourcing. We have had to rely heavily on diesel-powered energy to keep our produce fresh. Our ability to stay true to our commitment of freshness and wholesomeness of our products is part of what keeps endearing our customers to us, making us sustainable over the long haul. We’ve also had to be very prudent with cash and reinvested almost 100% of the profit till date. Running a business comes with its unique set of challenges and meanders. It is made worse when you attempt to do it in a place as tough and business-averse like Nigeria. Not too obvious, but the first major challenge is the size and the buying power of the market. For perspective, compare the GDP of New York, a city with 9 million people which triples Nigeria’s, a whole country with 180,000,000 people. Following closely is availability and access to low cost capital. Another obvious challenge is power – as we are heavily reliant on it to keep our produce fresh, coupled with other infrastructural deficits. Each of our outlets is a municipal on its own. We also face an endless stream of multiple regulators, governmental agencies each coming to demand for this levy or that tax without supporting structures to encourage budding entrepreneurs. These are few among the issues we have had to contend with, but we march on. Forward and onward. You have come a long way from having a staff strength of 3. Tell us about the So Fresh work force. How do you attract & retain staff? Attracting and retaining the right talents is the most critical element, that either guarantees or hinders the growth of any organisation. As I discovered early in my entrepreneurial journey that the company and even the boss is as good as the team. Staff wellbeing and satisfaction is very central to our company’s success. We therefore focus on growing and nurturing the talent within the organisation, through training and supporting staff to develop themselves. Over time we’ve developed inclusive programs and welfare schemes over and above their regular pay. We conduct periodic surveys to measure employee satisfaction and actively implement recommendations where possible. We train, develop, engage and empower them to make business decisions, make mistakes, learn and grow in the process. Of course we reward excellence and punish behaviours inconsistent with our policies. We care about them, we listen. Their opinion counts. We have become partners in progress with our team. Let’s talk about health and safety. What are some of the structures you have in place to ensure that your customers stay healthy after consuming your products? Our quality assurance process is quite intensive, because 80% of our food is served fresh, with a few minimally processed – in order to retain the freshness, lock in the natural flavours and nutrients. The process flow to ensure that our standard specifications are met, begins from procurement to delivery to the warehouse, proper storage under the right conditions to when the food is processed and packaged till the customer receives our products. Our food and processes are taken through a high degree of quality checks and hygiene management in compliance with standard Food Safety Policy, HACCP compliant with ISO 9001 and FSSC22000. 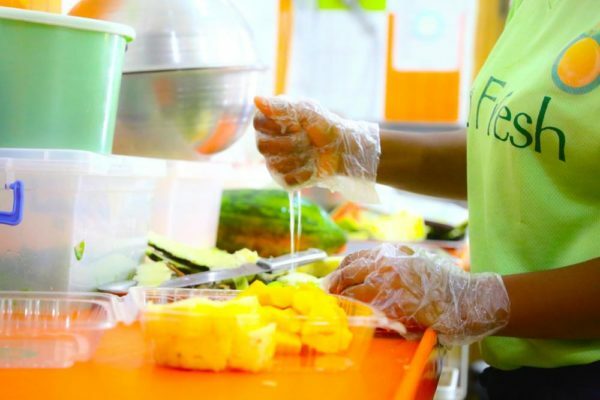 All our production and sales staff are adequately trained and certified food handlers who are quite knowledgeable about fodhandling and food safety measures. We mostly produce to order or do a tight demand forecast to avoid food staying longer than 3 hours per time before purchase or delivery. Our quality team, runs periodic store visits to all outlets weekly to ensure that food safety, quality and standard is maintained. We are firmly committed to offering the highest quality products and services. Are there any governmental organisations that maintain the health and safety standards? Yes there are public health officers whose job is to ensure that we comply with all food safety practices. They monitor our operations periodically to see that there are no deviations. There’s also LASEPA – monitoring the impact our activity has on the environment. We’ve been married twice…Hahaha First in 2007, then 2010 when we launched our business as co-founders, because business between two or more people is indeed a marriage with its own set of rules and nuances. It’s been fun, exciting and very rewarding working together to make a difference and change something we care about. There’s nothing like the power of synergy, shared focus, energy and passion towards a common goal. The confidence that your partner has got your back is so reassuring. 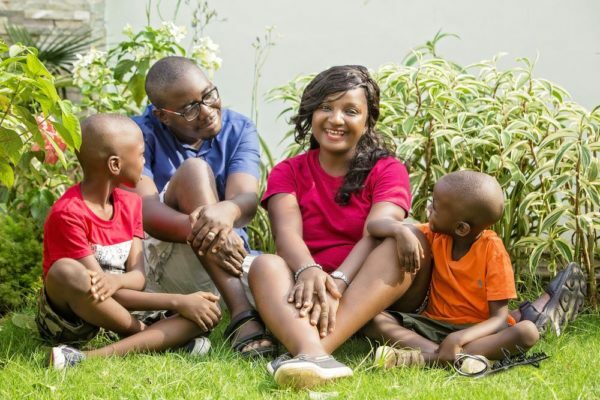 Running a business could be a very emotional journey and it did task us as a young couple even with a two year old son to care for then, but we allowed the possibilities to feed our soul. Managing these multiple responsibilities required a great deal of energy and emotional intelligence. The switch between being a couple at home, business partners at meetings and employees at work was sometimes emotionally draining. We needed time to understand each other and gain mastery of self to be stable and consistent in our service delivery. Working together as a couple requires a good dose of wisdom, discipline, strength, grace and a desire to see each other succeed as individuals and together. Our differences in personalities and perspectives on issues has not been without its own challenges, like any other relationship, but we’ve always found wisdom to reason and move on. For example Bimbo is a master executor, she gets on a project, mobilizes people and the job is done well spontaneously. Goke is more calculating, strategic, and so he takes more time to plan before moving to execute. These differences used to be our source of conflict and arguments, but there is no force more powerful than a united mind. With knowledge, maturity and appreciation of our unique styles and gifts we are more aware of the strengths in our differences and we focus on that and use it to our own advantage to win our battles. Working together has been an enlightening and a beautiful experience, our thoughts align with the strategic direction we have set for the company and because we have founded the business on sound business principles from day one, it helps us stay true to the vision. In the first 4 years there was nothing really like work/life balance, it was all work. We were hustling big time and looking for how to increase sales, break even and create awareness for the brand. Thank God for Bimbo, she pulled my ears one day and said all we do is this business, we need to get a life. Thankfully as the business grew and with more great talents on our team, we make out time to relax from time to time. The value and power of team work has played out in how we have raised our sons. Indeed two are better than one for there shall be a good reward for their labor. We share similar strong family values and principles of money management, so working together and raising our sons has been a good jolly ride. We talk about the business so passionately and with great excitement anywhere and everywhere all of the time; on the dining table, bedroom, in the car, public spaces and just any random place. We love doing this together and we are passionately committed to doing it well. We keep our romance alive at work by having lunch together, exchanging love messages, checking briefly on each other, gossip and generally making time out to laugh. Ah! Laughter is always KEY, and I love how you’ve both played on your strengths for the growth of your business. So, on a final note: what advice do you have for entrepreneurs coming from the 9-5 world? And while you are it, whatever your hands find to do, do it well. Working a 9-5 can be a very great platform to launch your business just as I did. I gained loads of experience and insights into running an organisation. I saved a lot and had backup while I tested out my ideas in the market. I’ll say start small, test and validate your ideas before you quit. Do this for about one to two years. For instance, we were not earning salaries till about 2014 because the business couldn’t afford to pay us. Remember there’s no substitute to hard work, even when you work smart, you still have to work hard. Be vision and purpose driven. Be knowledgeable and understand every aspect of your business in and out, stay focused and get sound business education. Plan meticulously, execute swiftly. Remember that you may fail, embrace your lessons and move on. Running a business requires focus, persistence and doggedness sustained over a period of time to build anything of value. Don’t forget to form mutually beneficial relationships and partnerships along the way. Finally, when you are on the rise, never get cocky with your successes. It only takes the blink of an eye to lose it.